Following the passing of her grandmother fashion photographer Min (Olivia Ong) elects to close the family business, Brilliant Pearl Photo Studio, before she embarks to Japan. While emptying out the studio she comes across a collection of old photographs, which her aunt (Nancy Sit) informs her were her grandma’s favourites. Fascinated by the faces in the faded prints, Min decides to return them to their rightful owners and is directed to long-retired lok-lok hawker Goh Ah Beng (Chew Chor Meng). The elderly Beng is initially dismissive of the young woman but he soon opens up and relates the stories of the smiling faces in the photographs and how their lives were inextricably linked with Great World amusement park and its much-loved place in Singapore’s history. The first photo is of middle-aged pantomime Boo (Henry Thia), and his mother (Lai Meng), who, on February 15th, 1958, seized the scant opportunity to snap his photo with cinema legend Elizabeth Taylor on her visit to Great World. 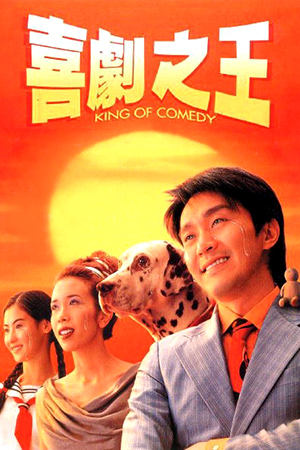 The only obstacle that stood between Boo and achieving his celebrity dream was troupe leader Tiger (Sam Tseng), who was never known to grant even a half-day’s leave. The second portrait depicts the radiant countenance of sideshow operator Mei Juan (Joanne Peh), who found herself attracting the attention (and affection) of Malaysian herbalist Leong (Zhang Zhenhuan), before her playful nature and the 9th August 1965 Declaration of Independence saw her handsome suitor forced to return to the Peninsular. The third image captures the vibrant beauty of Flamingo nightclub singer Rose (Xiang Yun), who at the time was reduced to a drunken, burnt-out shadow of her former self in the ten long years after her former flame, Henry (Guo Liang), suddenly disappeared. But on May 20th, 1975, Rose’s manager Peter (Huang Wen Yong), and her colleagues, had a surprise in store that would change her life forever. The last photo proves to be that of Beng himself, with his dearly missed wife Mei Lien (Apple Wong). On the 8th December 1941, Mei’s father Lim (Chen Shu Cheng) hosted their wedding party at the Wing Choon Yuen restaurant, but it would be the fateful day that Japan attacked Singapore. The restaurant staff decides to cater a banquet that their guests will never forget in the face of impending uncertainty. Much as with our very own cultural icon, Sydney’s renowned and well-loved Luna Park, Singapore held a few its own high-profile amusement parks throughout much of the twentieth century, the most famous of which was Great World. Owned and operated by Singapore’s Shaw Organisation, Great World opened in 1929 and played host to four cinemas, the Flamingo nightclub, a sideshow alley and the acclaimed Cantonese restaurant Wing Choon Yuen, for five decades until its eventual closure in 1978. Today, the park’s former site is occupied by Great World City, a multi-level shopping, office and apartment development that, whilst invoking the past, is as much a sign of Singapore’s strong economy as it is the city-state’s growth since Japanese occupation during World War II. 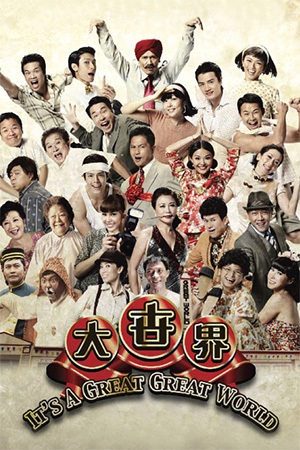 Likewise, Kelvin Tong’s ‘It’s A Great, Great World’ (2011) is a loving homage to those earlier eras, as well as the resilience of the Singaporean people as they grew into the strong nation they have become, and an exceptional alternate Lunar New Year entry against Hong Kong’s more widely recognised cinema of the Chinese festive season. If there’s a leading accolade you can afford former Strait Times film critic-turned-director Kelvin Tong, it’s that he made the transition between the two smoothly and has repeatedly proved himself as a fine commercial filmmaker across multiple genres. Though he’s best known internationally for two of his horror outings, ‘The Maid’ (2005) and ‘Rule #1’ (2008), Tong has successfully tackled teen dramas (‘Eating Air’, 1999), comedies (Men in White, 2007) and thrillers (‘Kidnapper’, 2010) in his brief time behind the camera. With 2011’s ‘It’s A Great, Great World’ he adds another feather to his cap by taking a uniquely Hong Kong formula (the all-star Lunar New Year family film) and seamlessly applying it within the idiom of the Singaporean film scene. Unlike his Hong Kong peers though, Tong doesn’t opt for the singular narrative style and instead undertakes an anthology piece finely woven together by a common thread (Great World itself). Though this obviously engineers a feature that is episodic by nature, under Tong’s skilled hand the story shifts delightfully forward via a series of interconnected tales towards its upbeat and positive denouement. There is a mix of laughter and touching nostalgic reminisces along the way, but the overall message remains refreshingly uplifting throughout. Apart from the imported star power of cameoing Hong Kong icon Nancy Sit (’72 Tenants of Prosperity’, 2010), the ensemble cast will be largely unfamiliar to audiences outside of Singapore and Malaysia, but for those well-versed with MediaCorp’s stable of artists Tong’s film delivers a literal smorgasbord of South East Asian stars. Henry Thia (‘Money No Enough’, 1998) is pleasingly affable as the middle-aged pantomime clown Boo, whose movie-star photo adventure becomes as engagingly warm as the screen-time he shares with Malaysian veteran Lai Meng (‘Money No Enough 2’, 2008) as his widowed, elderly mother. Though the opening story is the smallest of the four, Thia carries it remarkably making for a light opener. The second segment, showcasing TV stars Joanne Peh (‘The Ties that Bind’) and Zhang Zhenhuan (‘The Dream Catcher’), is a cute, fluffy romantic diversion set against the backdrop of Singapore’s declaration of sovereignty from Malaysia. It captures the multi-ethnic makeup of the nation of the era and affords Tong the opportunity of a sly nod towards his popular horror outings with a fun ride on Great World’s ghost train (inclusive of a striking “illusion”). The third story, set just three years before the park’s closure, is where the film really comes into its own and starts generating more than just hearty chuckles and dreamy recollections of simpler times. 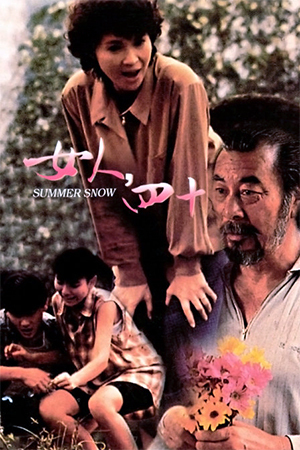 In its guarded (romantic) relationship between its star, Xiang Yun (‘I Not Stupid Too’, 2006), and her manager, Huang Wen Yong (‘Your Hand in Mine’), the subtly played heart of the earlier vignettes pushes to the forefront and radiates brightly, right through to the narrative arc’s epilogue. One also gets a colourful recreation of nightclub cabaret of the period, paired with a lively rendition of Yao Lee’s 1940 popular hit “Rose, Rose, I Love You” (玫瑰玫瑰我愛你) and sparkling back-up from actress/model Paige Chua and Babes in the City (Bao Bei Jie Mei). 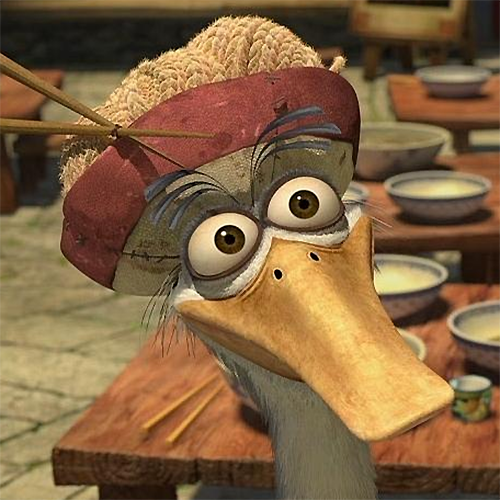 This then plays into the final story, the bittersweet yet touching tale of Beng himself. Amongst the staff of the Wing Choon Yuen there’s a marvellous chemistry, as well as inevitable dialect interplay (that will be lost on non-native-speaking viewers), from head waitress Zhen (singer & TV presenter Kym Ng) through to leading chef Zheem (comedian Marcus Chin of ‘The Best Bet’, 2004) and his Hainanese juniors Jiang (Bryan Wong) and Dong (Zhang Yao Dong). 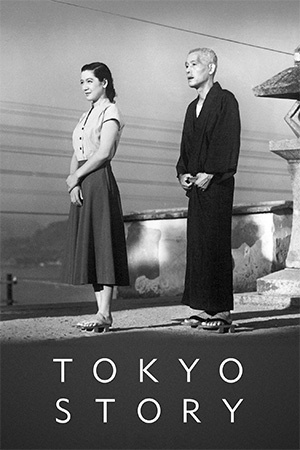 It is in the wrap-up story, under the dark cloud of the World War II Japanese invasion, that the film’s ultimate message springs to life: no matter what the adversity it is always the diversity and unity of the Singaporean people that sees them through obstacles and history with a powerful sense of community and pride. The whole portmanteau is linked together with the understated interaction between Chew Chor Meng (under a layer of less-than convincing prosthetics) and popular singer Olivia Ong as Min. For those that know him, Gurmit Singh (of Phua Chu Kang Pte Ltd fame) also has an all-too-brief guest appearance as an Indian security guard during Henry Thia’s episode. It’s not that often (as an ageing fan of cinema) that one goes into a film with few, if any, expectations other than to be entertained and comes away both pleasantly surprised and with a sense of fulfilment and/or having had one’s expectations more than exceeded. ‘It’s A Great, Great World’ starts out small and unassuming and before you know it has evolved into something more colourful, vibrant and involving than you could have ever expected that it’s almost impossible not to enjoy the magical journey it takes you on. Enhanced by lush high-definition cinematography by Wai Yin Chiu (‘Kidnapper’, 2010) that allows for nifty visual flourishes, such as crumbling photo frames and washes to sepia, and a buoyant mix of period songs and original score by Joe Ng & Alex Oh, the whole production simply brims with the exuberance that is the heart of traditional Lunar New Year celebrations. 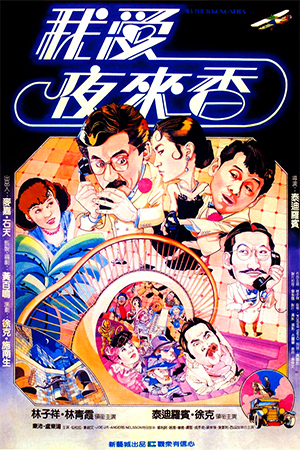 Kelvin Tong’s Singaporean entry in the New Year cinema cycle proudly holds a (very) bright candle to its Hong Kong cousins and more than lends itself to expansion via further tales of Great World and those connected with it. Yet, even if its success doesn’t inspire successive New Year films the fact remains that we will always have this one great Great World film to treasure.